If your kid never ran out wearing only its diapers, then you can consider yourself a good parent. However, there are hundreds of cases where the little ones escape and embarrass you by running around naked. If you don’t believe it, then check the gallery with the picture in the restaurant. The face of the parent is straightforward. He wants to be eaten up by the earth. 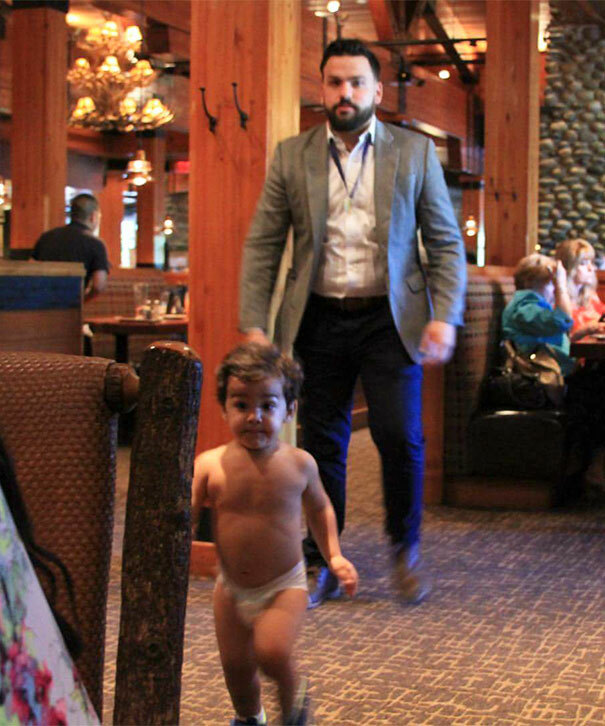 The baby is running wearing only diapers in a pretty elegant restaurant. It is not the image you want to give in such a place, trying to deal with a 4 years old kid and eating at the same time. Social networks such as Twitter and Facebook are nowadays full of images of these hilarious moments, when parents feel that they have become really bad parents. 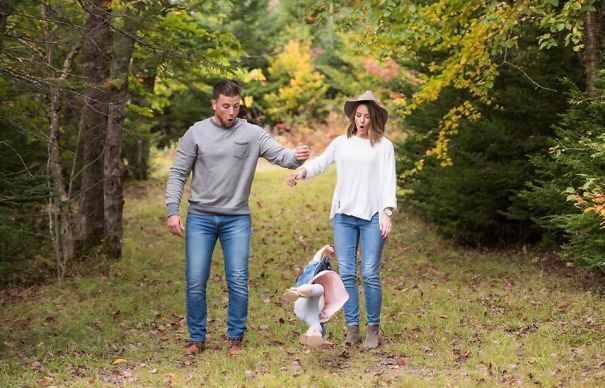 Sharing these photographs is excellent for the community, first of all because we can see which errors not to commit, and second because we can laugh and enjoy ourselves learning about the difficulties of being a parent today. If you want, you can share with us more of these photographs as you continue checking the gallery in the following link. This entry was posted in Pictures and tagged Epic fail parents, funny, gallery by Juan Martínez (Google+). Bookmark the permalink.